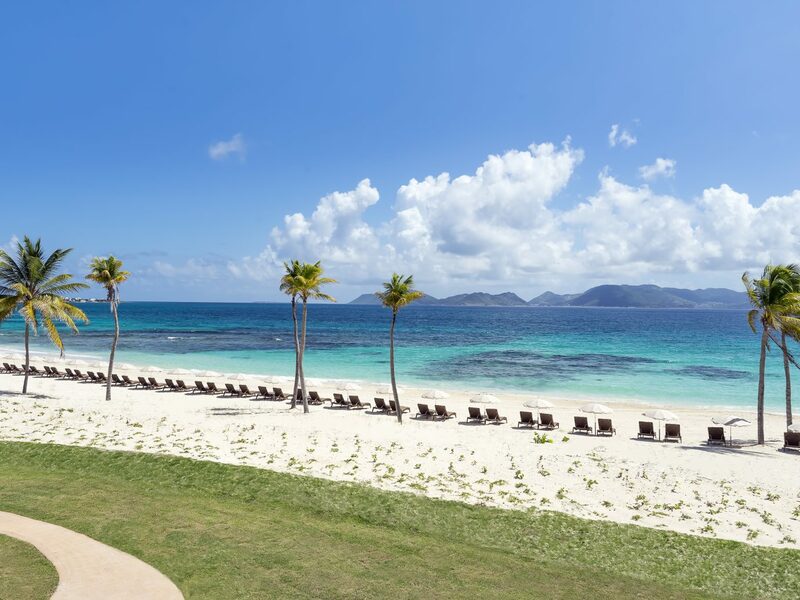 A tiny isle of just 35 square miles in the Eastern Caribbean, Anguilla packs some of the region's best beaches and finest hotel brands onto its sandy shores. 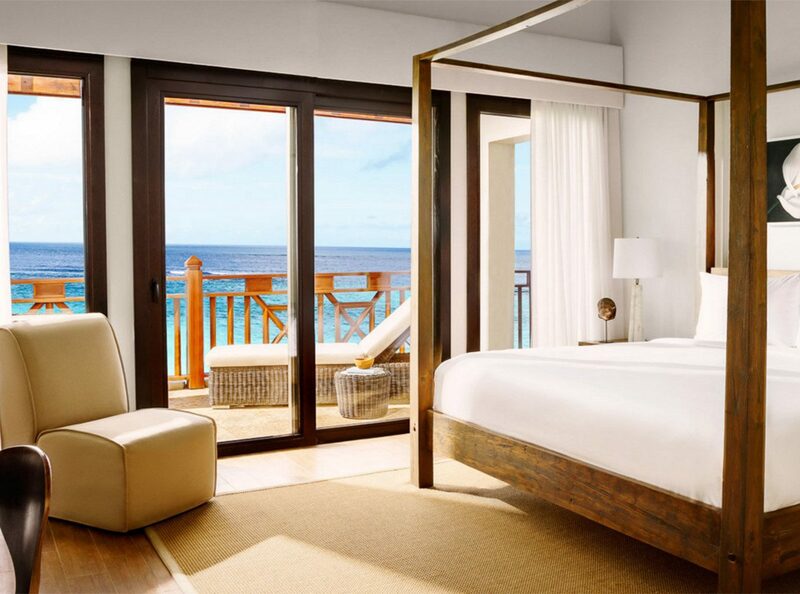 Read on for our picks for the best hotels in Anguilla, whether you want romantic seclusion steps from the sea, or a villa-style stay with all the perks of a top hotel. 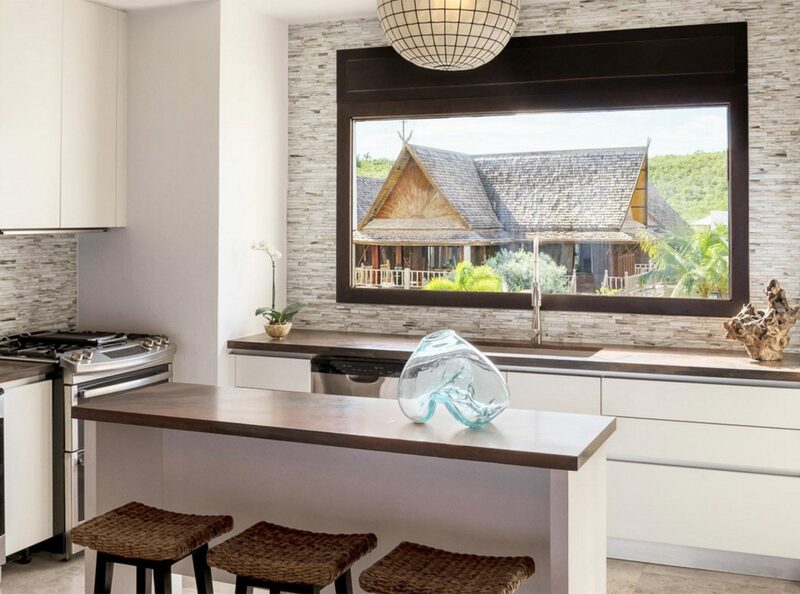 On Anguilla’s undeveloped West End, Sheriva Luxury Villas and Suites is the pick for travelers who want the perks of hotel living with the space of the home rental. 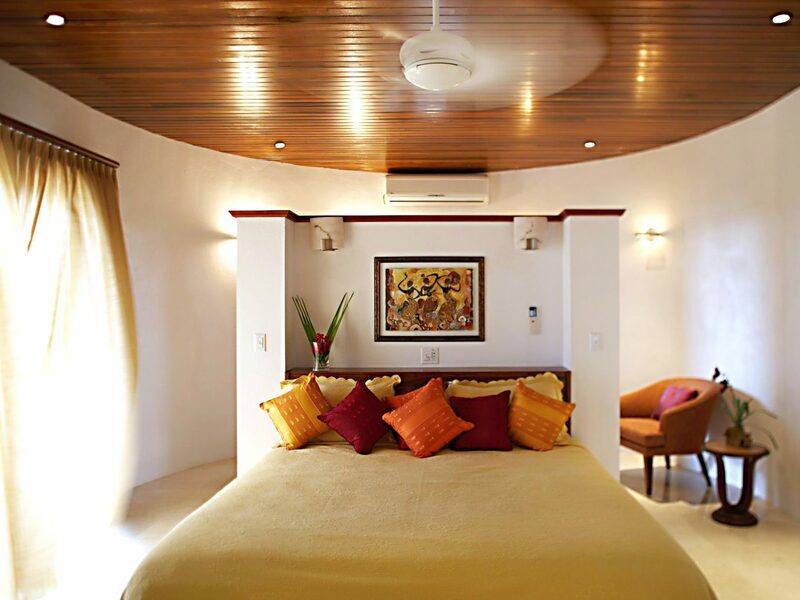 Made up of just two one-bedroom suites and three European-style villas, there’s a home-away-from-home vibe that makes it popular with seasonal repeat visitors and extended family groups. 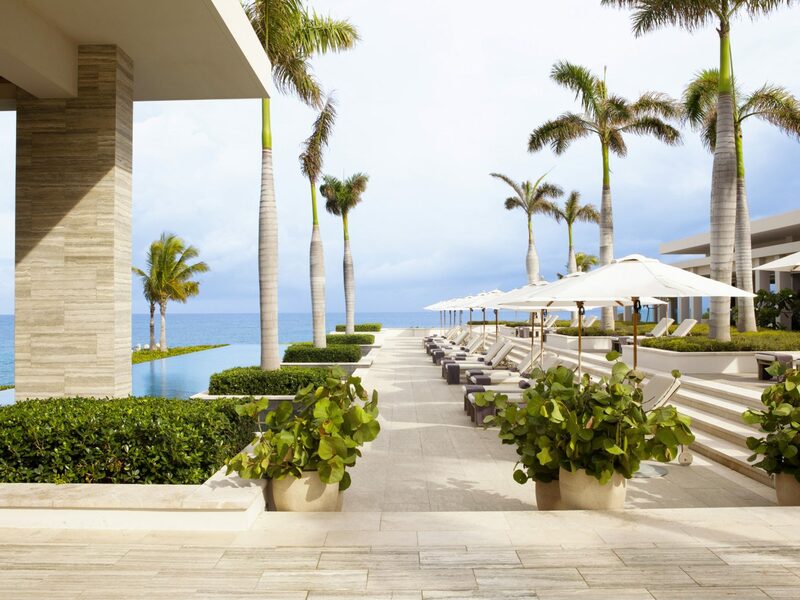 The helpful staff and concierge take care of everything from the meet and greet service at the airport, to the daily Caribbean continental breakfast, and guest privileges at next-door hotel, Cap Juluca, so guests can decide on beach or pool time, a sailing adventure or spa massage, afternoon golf or sunset cocktails. 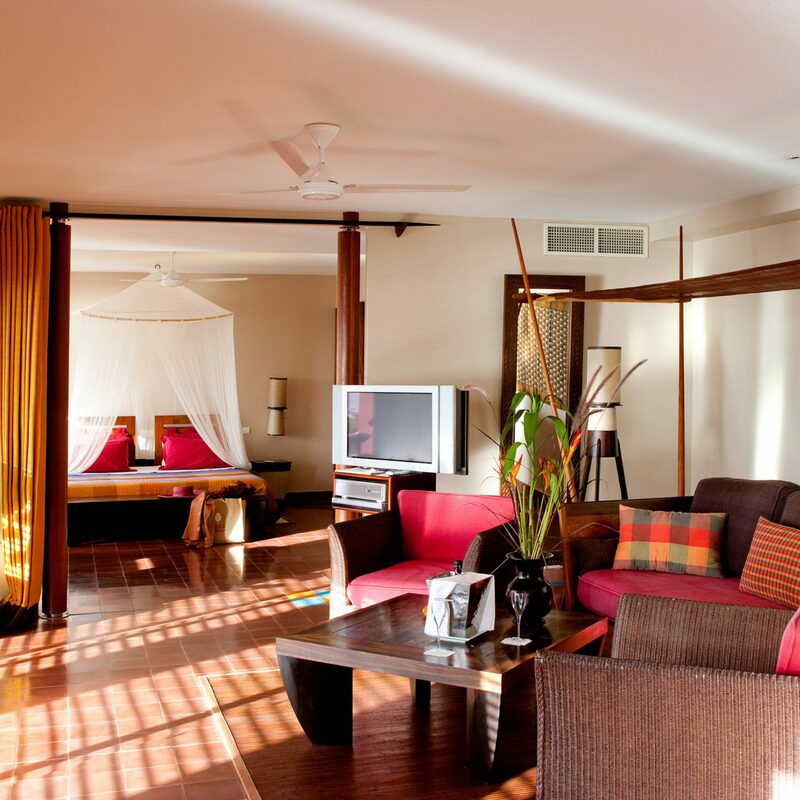 Rooms have a considered sense of place, from the tropically-colored textiles and throw pillow, to the rattan furnishings and plantation-style shutters. 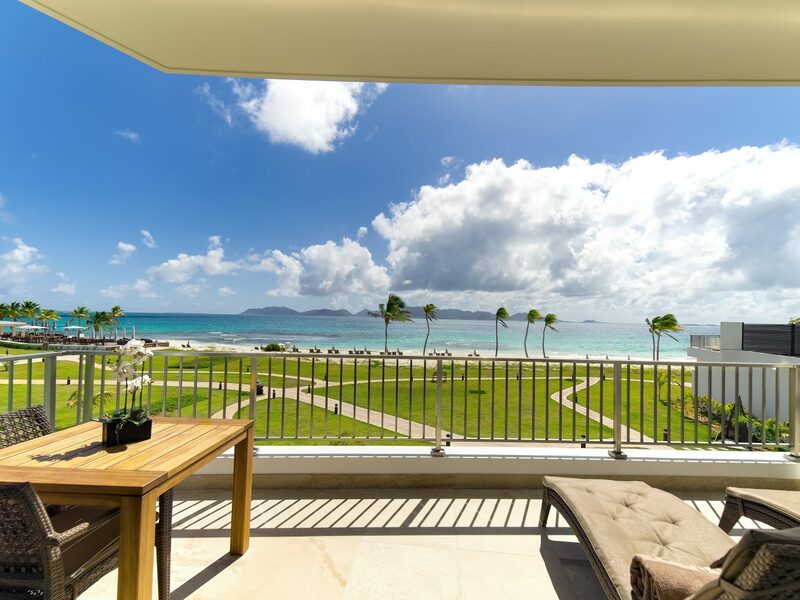 All have enormous en-suite bathrooms with deep soaking tubs and standalone showers, many with views of the Caribbean Sea and nearby island of Saint Maarten. 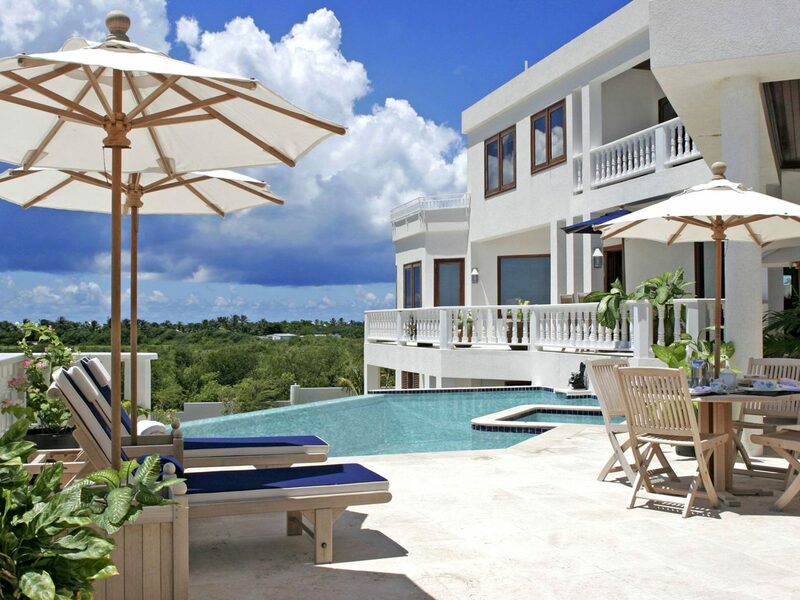 Each villa has its own pool and oversized golf cart for exploring the grounds — kids head straight for the purpose-built game room, while parents get to relax on beautiful Maundays Beach, a two-minute drive away. There’s no restaurant, but the concierge will stock the pantry and refrigerator in advance, as well as organize a private chef to prepare some or all meals. A ritzy beachfront playfront since the 1980s, Malliouhana joined the Auberge Resorts family in 2014 and staged a $80-million comeback. 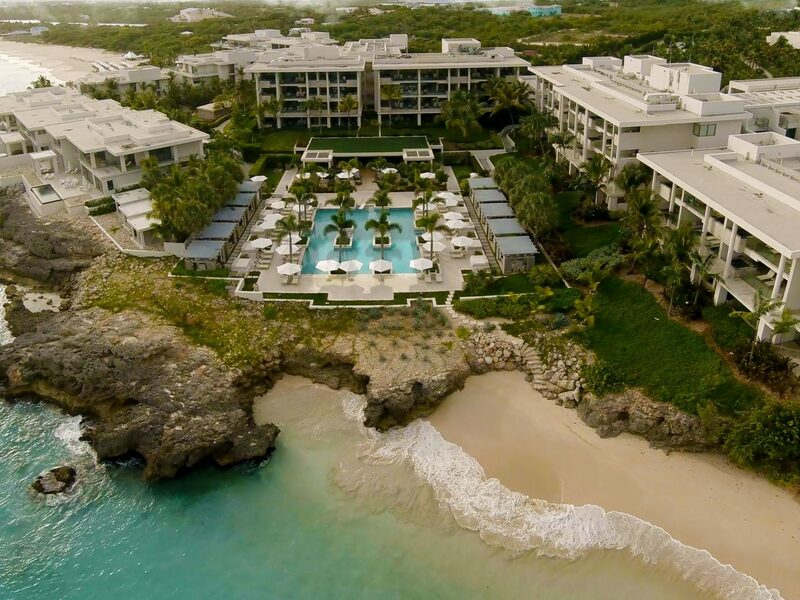 There are just 44 guestrooms and suites on 25 ocean-hugging acres, with oceanfront, oceanview or resortview scenes on show from the private outdoor patios and terraces. Interiors are a kaleidoscope of pastel shades, from the candy-striped carpets to the mint green walls, with moments of Miami kitsch in the palm-frond-embellished mirrors and the faux coral lamps. 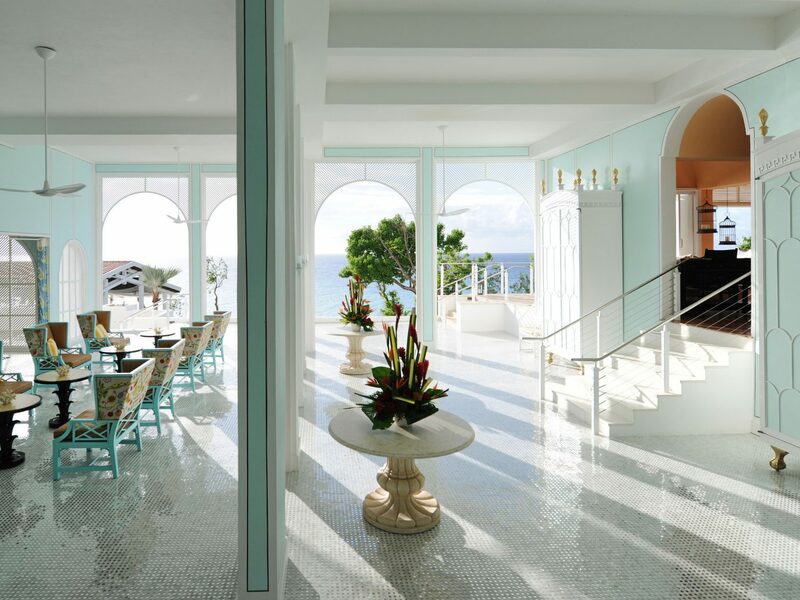 In the lobby, a sparkling mosaic floor leads the eye beyond the arched doorways out to the Caribbean Sea — a spectacular view that’s on show from all of the resort’s public space. Enjoy it at the resort’s signature The Restaurant at Malliouhana, a sea-to-table standout dishing up Mediterranean-inspired fare using the Caribbean’s bounty of fresh seafood. Don’t miss an order of the Malli Tower, a decadent assembly of six oysters, six clans, four shrimp, lobster legs and conch ceviche that’s made for sharing. Watersports dominate daytime activities at Malliouhana, and equipment for snorkeling, kayaking, stand-up paddleboarding, and sailing are all included in the rate through island outfitter, FUNTIME, a short walk along Meads Bay. Or, for a different sort of entertainment, there’s the Auberge Spa and its popular 90-minute Auberge Head to Toe massage. 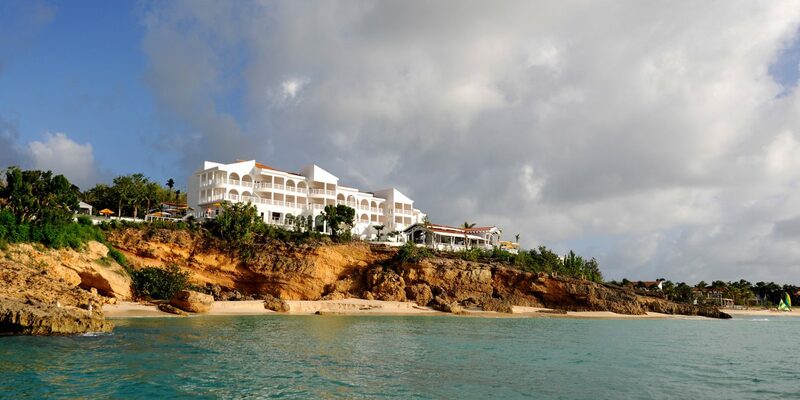 Sister property to Anguilla’s foodie favorite, CuisinArt Golf Resort & Spa (reopening in November 2018), the Reef is a purpose-built five-story tower overlooking beautiful Merrywing Bay. 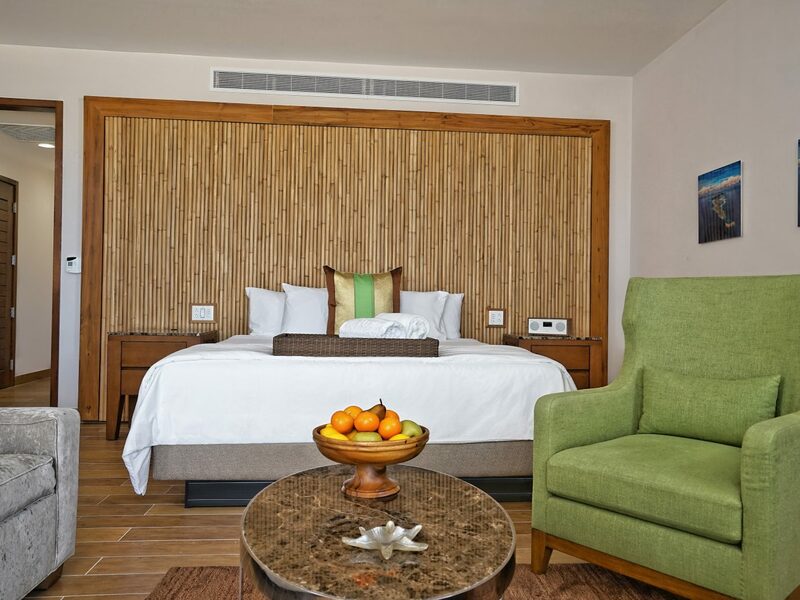 The 80 rooms and suites range from Golfview Suites in the main building, to spacious Junior Suites in the four beachfront buildings, but guests spend the majority of their time exploring the wellness-focused activities. 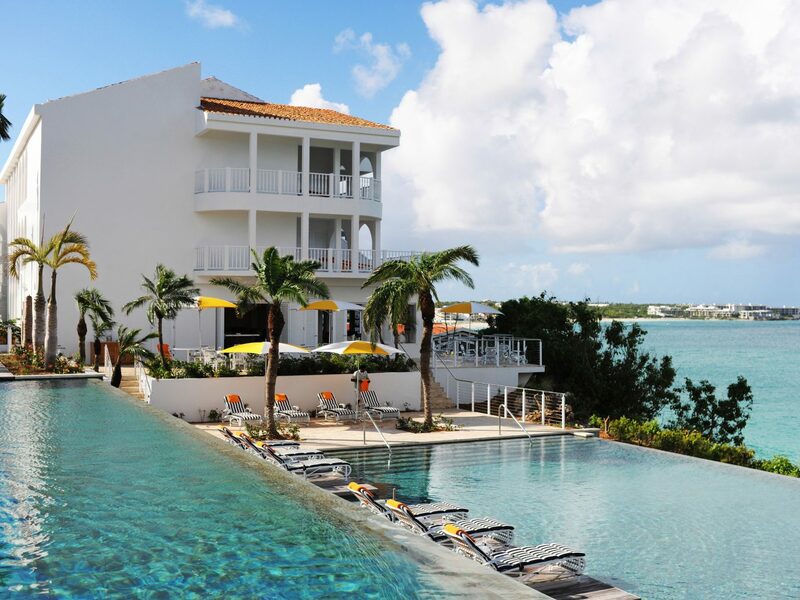 Think poolside spa treatments and outdoor yoga, meditation and aquacycling classes, plus a host of complimentary watersports from island-favorite, Anguilla Watersports. The hotel can also organize trips to inflatable waterpark Aqua Park at Cove Bay, or a round of golf at the island’s championship golf course. Food lovers are well looked after at the in-house restaurant, the Yacht Club, where the food celebrates local catches (including snapper, grouper and lobster) and fresh produce from the hotel’s hydroponic farm. Post-dinner, the On the Rock lobby bar dishes up cocktails, small sweet bites and an ocean soundtrack. 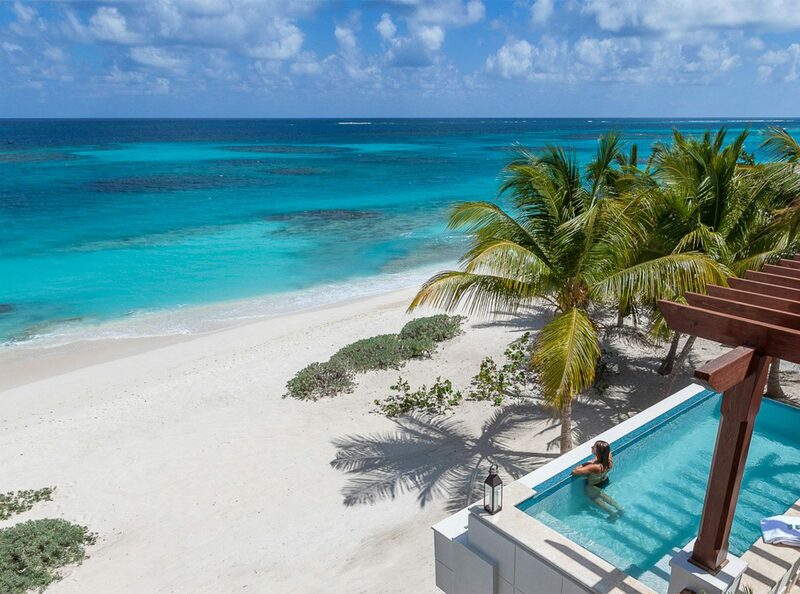 Reopened after renovations in February 2018, this award-winning spa-focused escape sits on six acres of white sand beachfront on Anguilla’s undeveloped north shore. 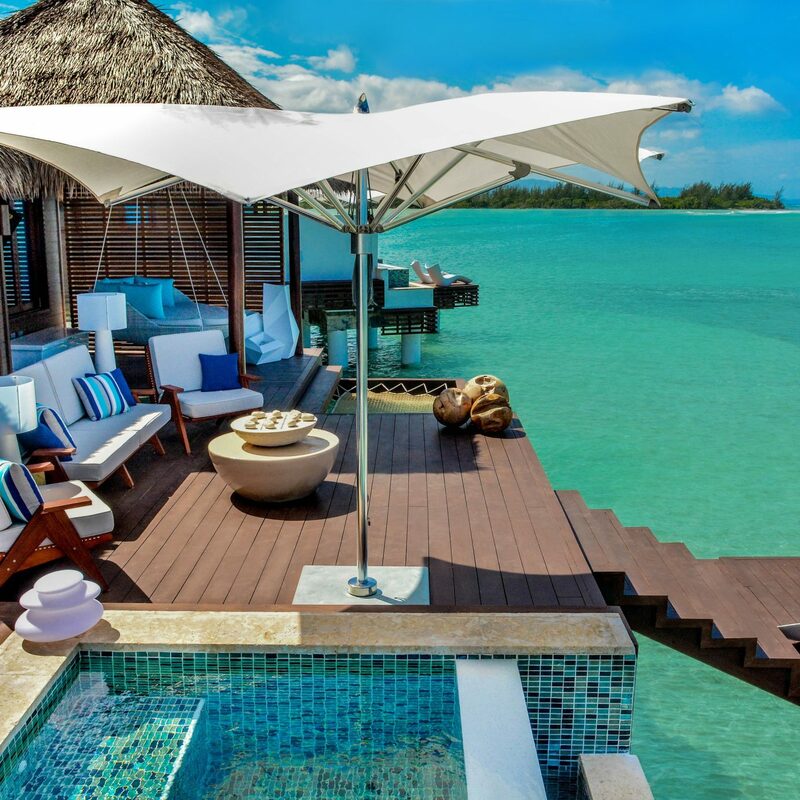 All 65 rooms and suites have private balconies or patios for admiring the ocean or resort views, personalized Caribbean minibars, and Malin + Goetz bath products in the bathrooms. The nine two- and three-bedroom suites are popular with families for their full kitchens and outdoor dining space. 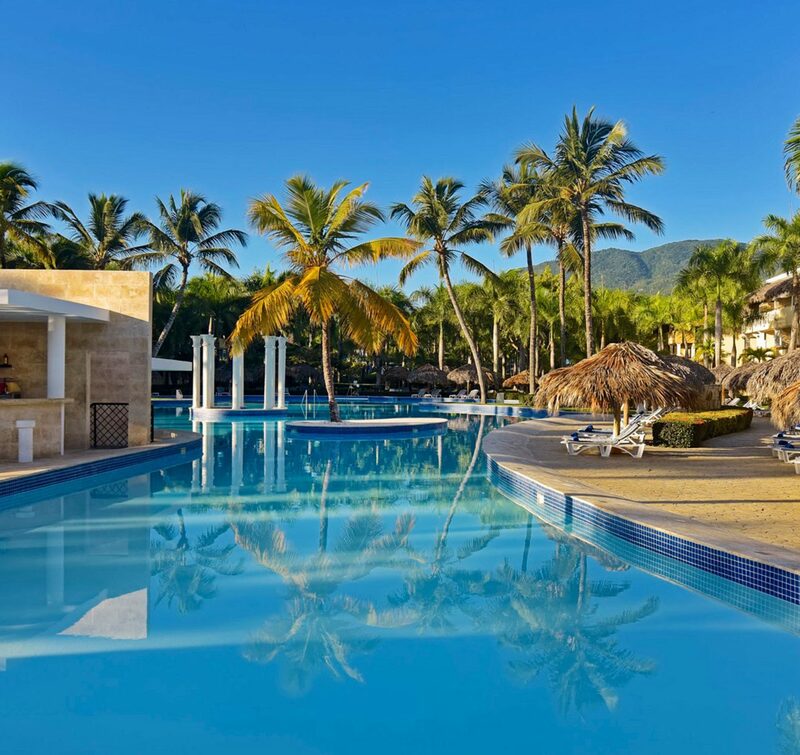 The resort packs a lot into its six acres, with onsite activities ranging from stand-up paddleboarding and kayaking to rum tastings and a daily cocktail happy hour (listen for the gong!). The Zemi Kids Club is complimentary to all guests and welcomes youngsters aged 4 - 12 to try their hand at coconut bowling and arts and crafts, or join a twice-weekly movie night so parents can sample the seafood specialties and signature fine-dining restaurant, Stone. 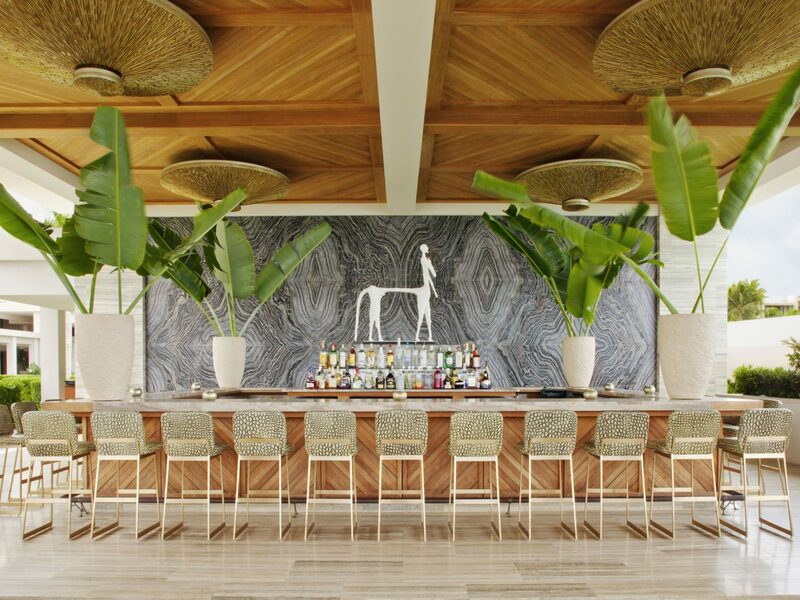 For more casual bites, 20 Knots dishes up refined Caribbean and Latin American favorites in a dramatic setting overlooking Shoal Bay. 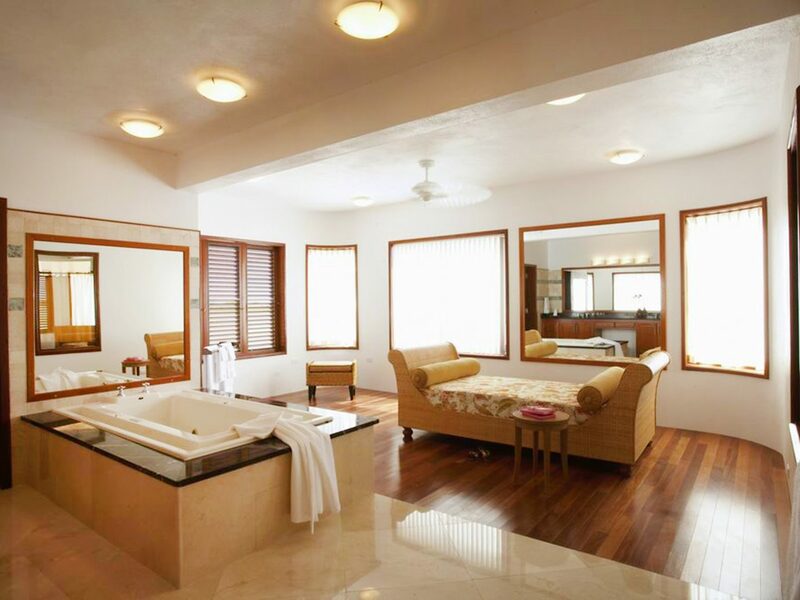 Spa lovers shouldn’t miss a treatment in the award-winning Zemi Thai House, home to Anguilla’s first hammam. A standout sleep on 35 acres overlooking two distinct beaches, with gorgeous Kelly Wearstler interiors and four ocean-facing restaurants. 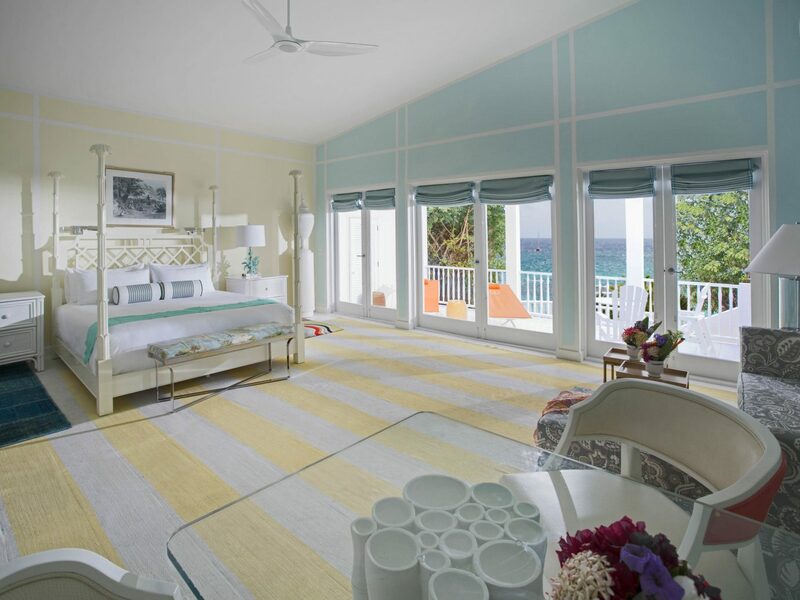 With over 180 rooms and suites, accommodation options range from oversized Resort View Rooms (from 480 square feet) to Five-Bedroom Beachfront Villas, just steps from Barnes Bay Beach. 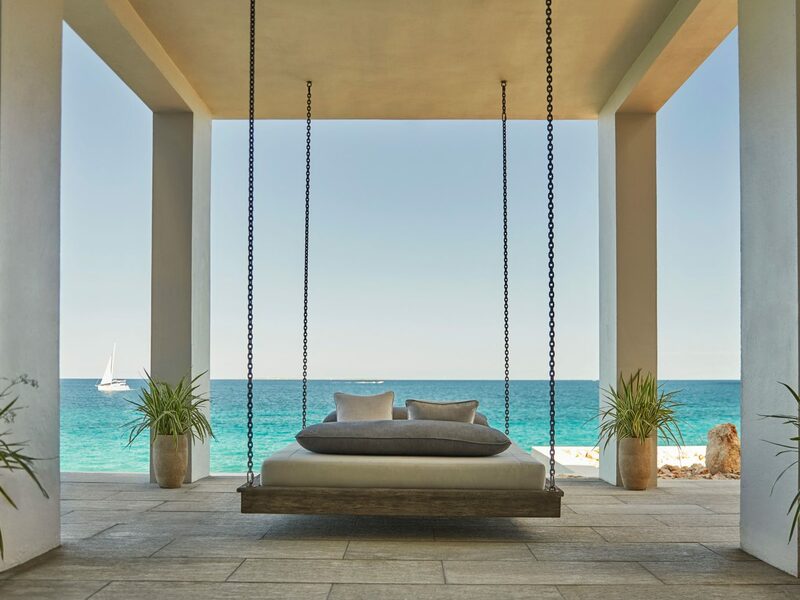 Common throughout is Wearstler’s cool West Coast–infused interior design, from the weathered plantation-style shutters and driftwood fixtures to the swinging outdoor daybeds and full travertine bathrooms. Similarly, the resort’s four restaurants offer eclectic choices and one common theme — exceptional views. Make it seafood dinners at bluff-top favorite, Coba; casual lunch bites at Half Shell Beach Bar overlooking Barnes Bay; low-key waterside grilled fare and cocktails at Meads Bay’s Bamboo Bar & Grill; or vintage rums, light appetizers and a live DJ set at at the appropriately named Sunset Lounge. Beyond all the lazy mornings and long lunches, expect to be in residence at one of the resort’s three pools (including the cliffside pool for adults only) or at the pampering spa for alfresco massage treatments with the crashing waves only adding to the relaxing atmosphere.